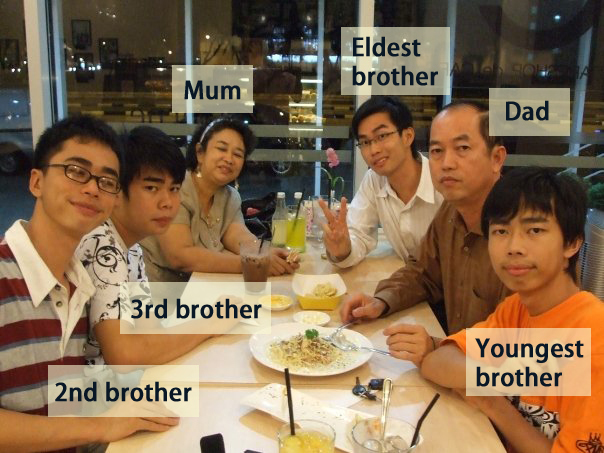 Mum: Where's your eldest brother? 3rd Brother: Thereeee, he's sleeping there. 3rd Brother: He's sleeping in that corner. Mum: Aiya, too many children. Can't keep track. 3rd Brother: Throw some into the rubbish bin loh. Those who only eat and sleep. Mum: Throw you arh? The rest will be my ATMs next time.